We hope you're all having a great week! I will be honest, though: this morning started off with what felt like a disaster! But don't worry, this story ends in cake! Oh, and quick note before we dive into the story: this blog post does contain an affiliate link. As always, I only share about products I genuinely support. Thanks for reading--now let me tell you about my morning! So, I went out to buy iced coffee for Adam and I and on the way home I was getting out of the car and it spilled everywhere and all over my outfit! WAHH! That is the worst, right? But all is well. I put on a pot of coffee and we enjoyed some steaming hot café au lait (which is basically the complete opposite of cold brew iced coffee haha). 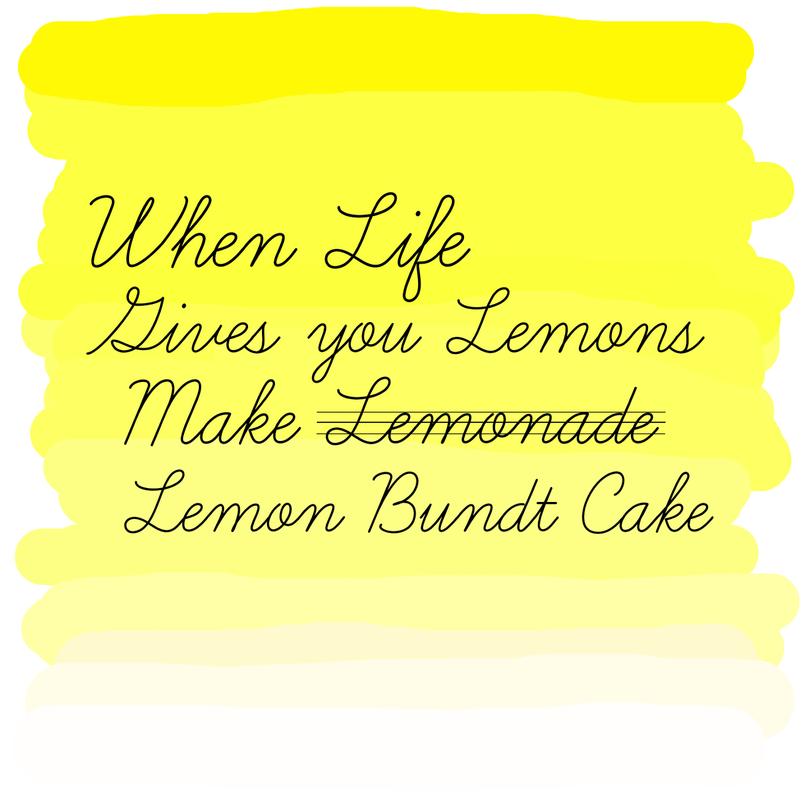 I guess I could say that life gave me crappy lemons this morning, so I figured I'd make lemonade lemon bundt cake. 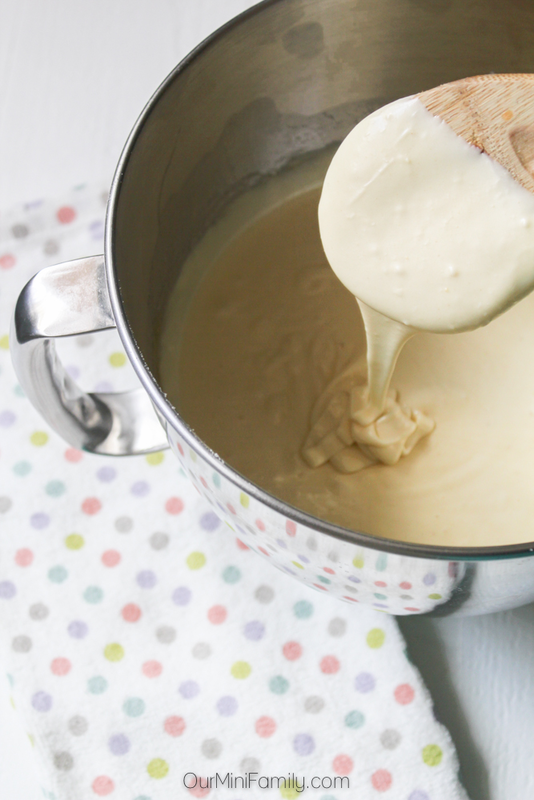 *Mix ingredients in a small saucepan over low heat. Stir until desired texture and drizzle. 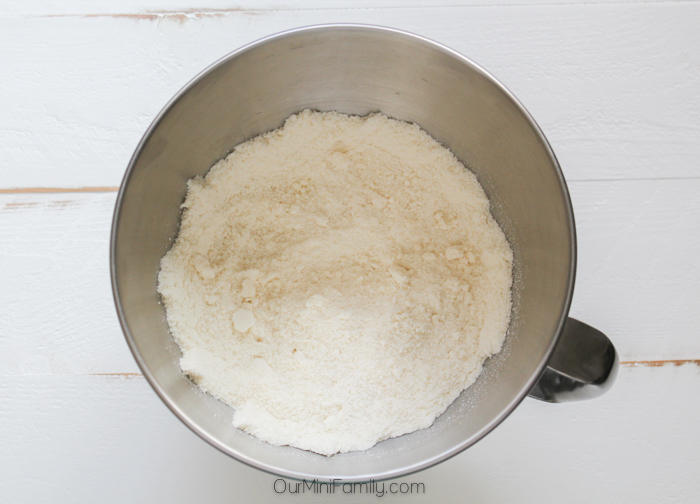 So first and foremost, you want to evenly mix your dry ingredients together (i.e. flour, baking powder, salt, and sugar). 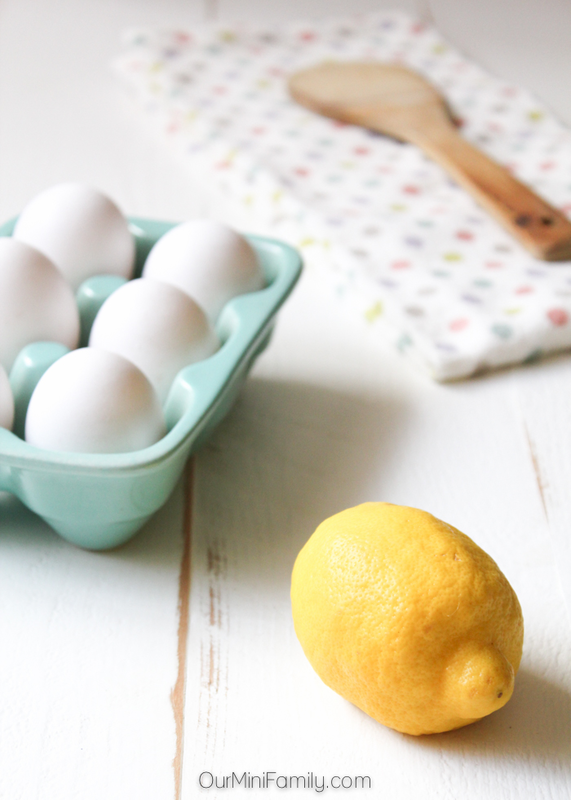 Now, you want to crack open your eggs and pour them in. 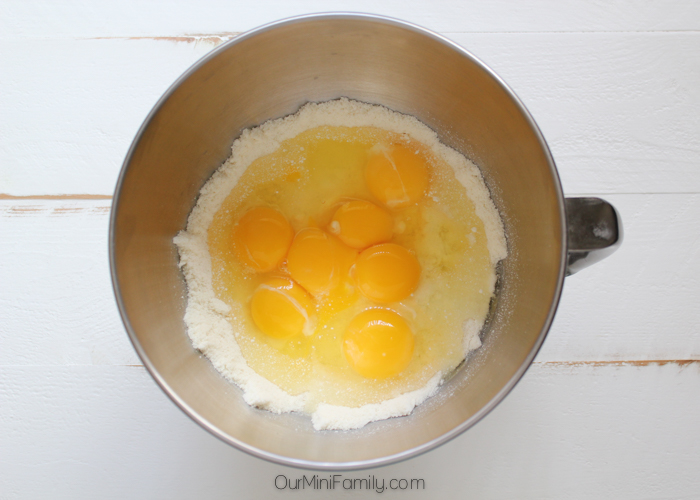 Mix in your eggs for 3 minutes or until well blended. Then add in your butter, vegetable oil, vanilla extract, and fresh lemon juice. Mix well for another 2-3 minutes. Then, add in your half and half. Mix again. And then add in your lemon zest! 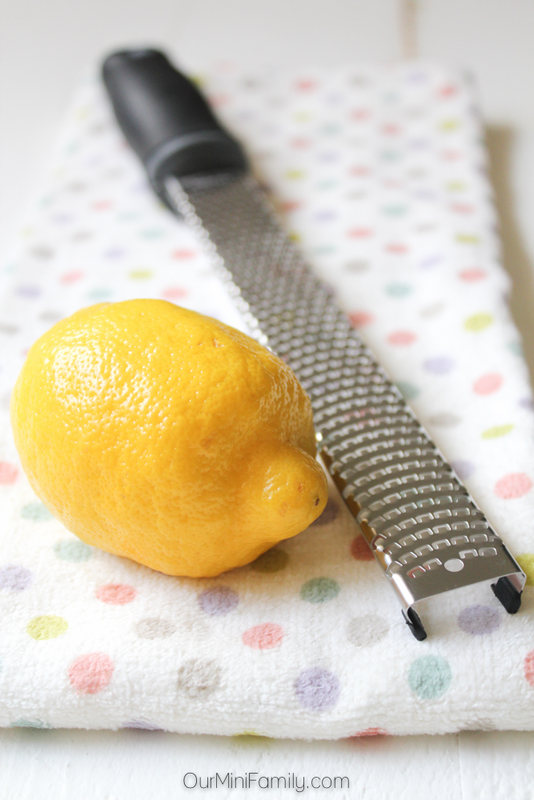 Using your favorite zester grater, zest about 4 lemons worth into your bowl and mix well. Bake in the oven at 350 degrees (Fahrenheit) for 55 to 60 minutes in your bundt cake pan. Take it out of the oven, let it cool, and then drizzle it with your warm dark chocolate. 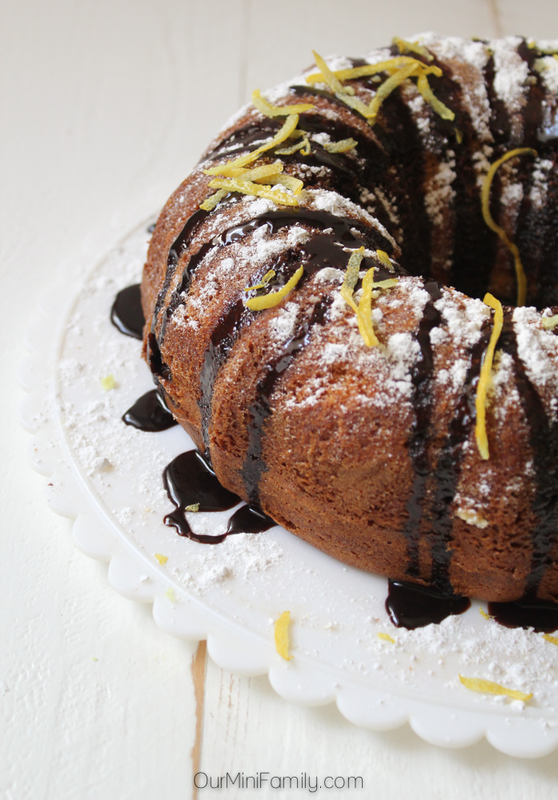 For added yumminess, sprinkle powdered sugar and lemon strips on top! Looking for a zester grater? The one we have is great! What I really like about this grater is that 1) it's study and does not feel like it will break when I use it and 2) it comes with a plastic cover, which will shield any wandering hands in the drawer or cabinet from getting cut! 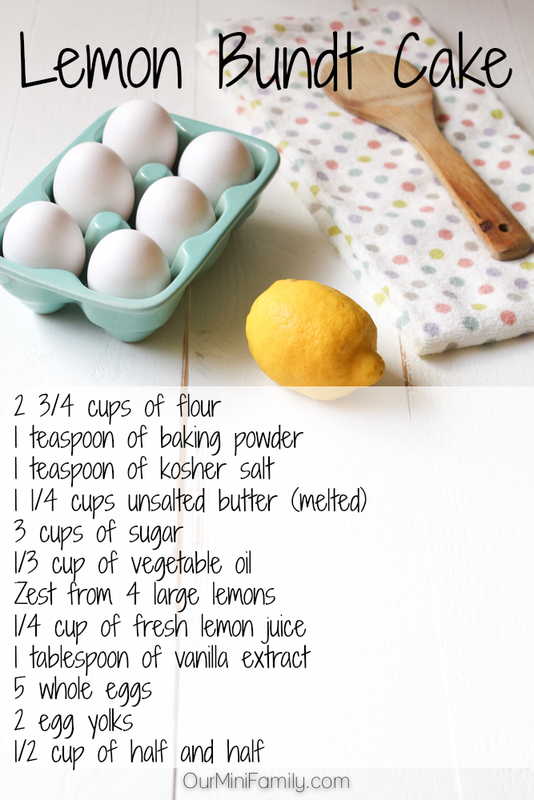 What are some of your favorite recipes with lemon in them? Hehe you're so right, Lydia! I want to grab this cake through my computer!! you're killing me smalls!! looks like i'll have to attempt this! thanks for the recipe! I haven't had a bunt cake in so long! This looks so good. Thanks! Yes, bundt cakes are da bomb! WOW, all I can say is "YUMMO!" Yum! This looks seriously delicious. I love anything lemon. I really need to buy a bundt pan! 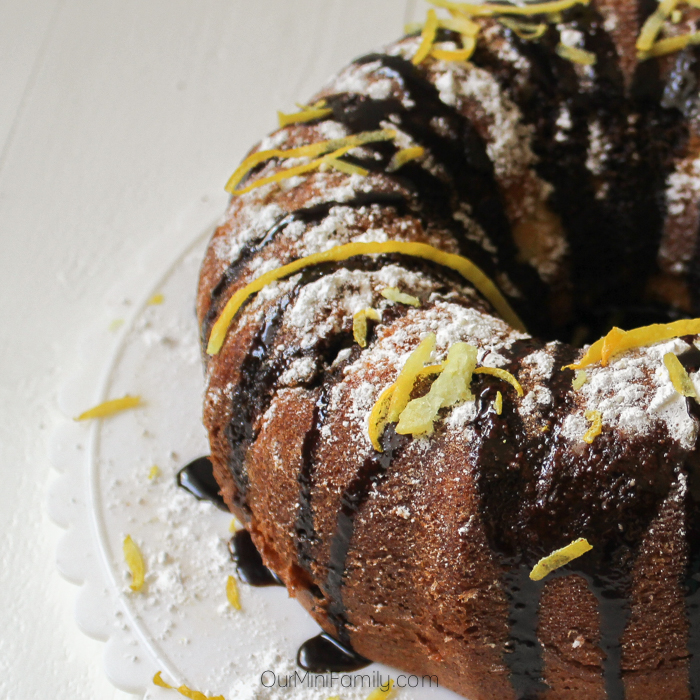 I love my bundt pan! It comes in handy a lot! 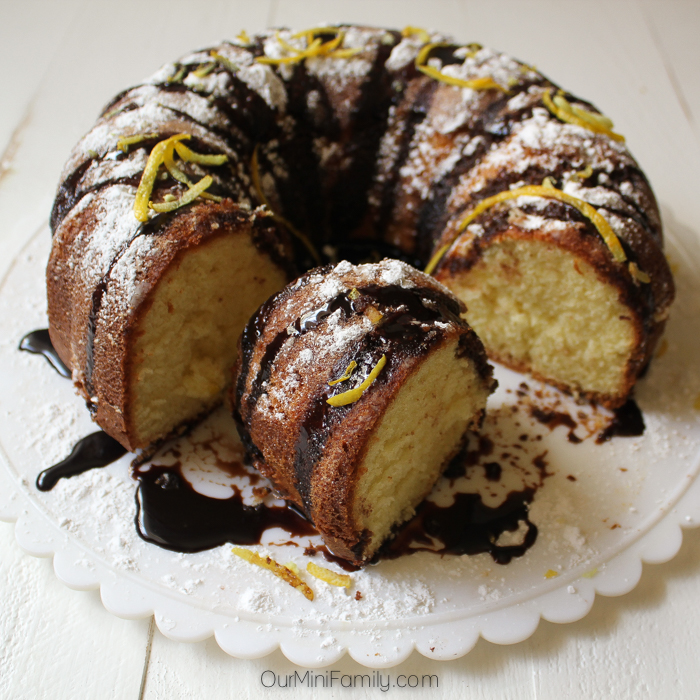 Ooh, I love a good Bundt cake---and with all those eggs, I'm certain this is a winner!! !